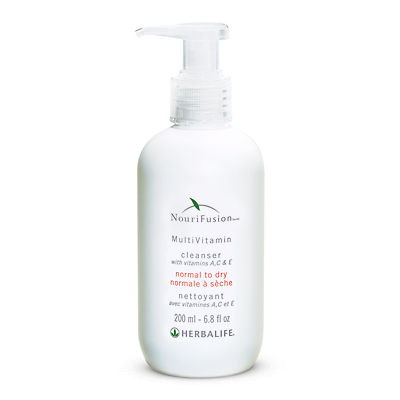 Cleanse skin and gently remove dirt and makeup using a combination of vitamins, select botanicals and herbs. Daily gentle cleansing soothes the skin while helping improve texture and tone. Cleanse skin and gently remove dirt and makeup using a combination of Vitamins A, C and E. Helps leave skin feeling smooth, soft and nourished. 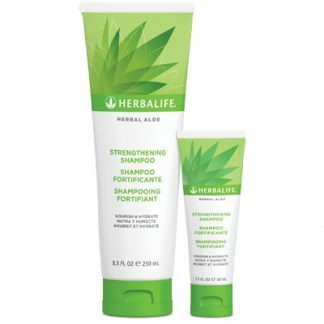 Washes away dirt, makeup and impurities. Contains vitamins, nutrients and herbs. Apply to wet skin and massage into a rich lather. Rinse well with warm water. Follow with toner. 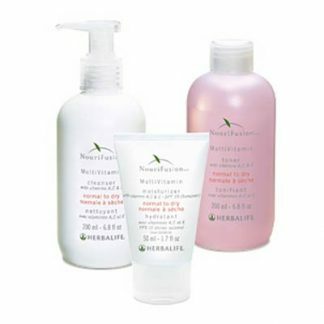 Choose from Normal to Dry Lotion Cleanser or Normal to Oily Gel Cleanser. You're viewing: Herbalife NouriFusion® MultiVitamin Cleanser Please login or register to see price.